Robert William Chambers was an American artist and fiction writer best known for his book entitled The King in Yellow, a collection of short stories first published and copyrighted by F. Tennyson Neely in 1895. The book was reprinted in 1902 by Harpers and Brothers and copyrighted by the author. This second edition was illustrated, but omitted one of the original stories, "In the Court of the Dragon." With one foot in the gothic horror genre and the other in early modern horror, The King in Yellow also touches on fantasy, mystery, war, mythology, and science fiction. The book had a profound influence on the work of Lovecraft and other similar writers of the early 20th Century. 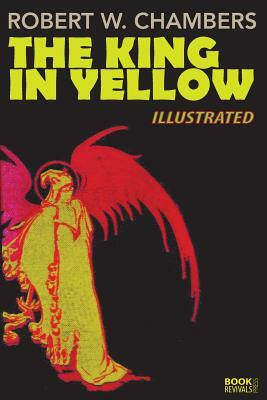 Unlike other authors of the past, Chambers was very successful in his lifetime, and The King in Yellow has seen brought back to the bestseller lists because of its tie with HBO's TV show True Detective. Much has been written about The King in Yellow and readers interested can find several online articles, including Wikipedia, with links to yet more sources. This new printing is unique as it includes all the stories of the original 1895 book and all the illustrations of the illustrated 1902 edition.